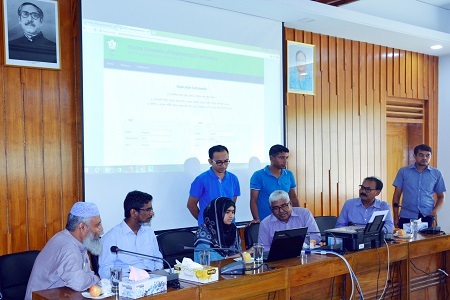 A seminar on ‘How to Use e-Resources and RFID System for Faculties and Students of KUET’ was held at Khulna University of Engineering & Technology (KUET) on 30 September 2018 at 10:00 AM at the Digital Library Access Centre of Central Library organized by Library System Automation of KUET (CPSF-435) Central Library under the Education Quality Enhancement Project (HEQEP) of Bangladesh University Grants Commission (UGC). Honorable Member of Bangladesh University Grants Commission, Prof. Dr. Akhtar Hossain delivered his speech as the Chief Guest. Honorable Vice-Chancellor of KUET, Prof. Dr. Quazi Sazzad Hossain presided over the function. 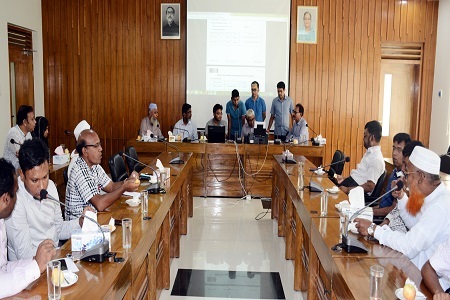 Dean of Faculty of Civil Engineering, Prof. Dr. Quazi Hamidul Bari; Dean of Faculty of Electrical and Electronic Engineering, Prof. Dr. Mohiuddin Ahmad; Former Vice-Chancellor of KUET, Prof. Dr. Muhammed Alamgir; Prof. Dr. K. M. Azharul Hasan, from CSE Department of KUET were present in the function as Special Guests. Librarian, Md. Akkas Uddin Pathan delivered welcome speech. 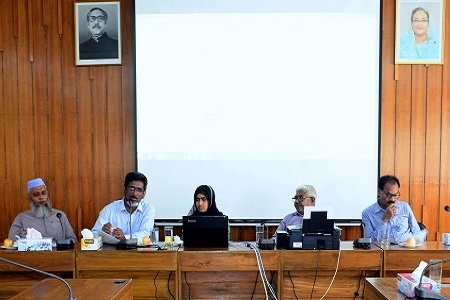 Prof. Dr. S. M. Zabed Ahmed, Department of Information Science and Library Management, University of Dhaka; Ms. Hasina Afroz, University Librarian, Ayesha Abed Library of BRAC University and Md. Elias Mollah, CEO of M/S Electrohome were present as resource persons in the technical session. A courtesy meeting between KUET Vice-Chancellor, Prof. Dr. Quazi Sazzad Hossain and the Assistant High Commissioner of Assistant High Commission of India, Khulna, Mr. Rajesh Kumar Raina was held at KUET on 26 September, 2018 at 10.30 AM in the office of the Vice-Chancellor of KUET. Registrar of KUET G M Shahidul Alam was present in that time. During their meeting, they explored the areas of cooperation to strengthen educational cooperation between the two neighbouring countries. The visit was aimed at enhancing educational cooperation, exchanges of knowledge and technological expertise and contacts between the two countries. Reception of KUET Vice-Chancellor, Prof. Dr. Quazi Sazzad Hossain and Farewell of Former Vice-Chancellor of KUET, Prof. Dr. Muhammed Alamgir was held on 25 September, 2018 at the conference room of the University Administrative Building organized by the Officers’ Association of KUET. President of Officers’ Association of KUET, Md. Nuruzzaman presided over the function. Among others, Registrar of KUET, G M Shahidul Alam; Chief Engineer, A. B. M. Mamunur Rashid; Librarian, Md. Akkas Uddin Pathan; Chief Medical Officer, Dr. Rifat Sultana Shelley; Executive Engineer, Hossain Mohammad Arshad; Principal Technical Officer, Shikder Md. Saiful Islam and Section Officer (Grade-I), Shaikh Omor Faruk spoke in the program. General Secretary of KUET Engr. Md. Mahmudul Hasan anchoring the function. Officers’ Association of KUET handed over the crest to the Present and Former Vice-Chancellors of KUET in the function. Officers from various Offices, Departments and Institutes were present in the function. 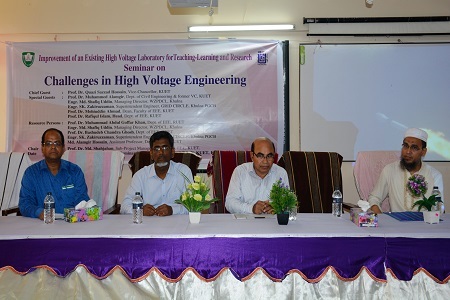 Seminar on Challenges in High Voltage Engineering was held at Khulna University of Engineering & Technology (KUET) on 23 September 2018 at 10:00 am at the Seminar Room of EEE Department organized by Prof. Dr. Md. 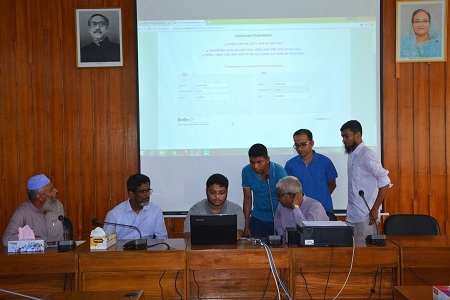 Shahjahan, SPM of the Sub-Project ‘Improvement of an Existing Voltage Laboratory for Teaching-Learning and Research’ in the Department of Electrical and Electronic Engineering under the Education Quality Enhancement Project (HEQEP) of Bangladesh University Grants Commission (UGC). Honorable Vice-Chancellor of KUET, Prof. Dr. Quazi Sazzad Hossain delivered his speech as the Chief Guest. Former Vice-Chancellor of KUET, Prof. Dr. Muhammed Alamgir; Managing Director of WZPDCL, Engr. Md. 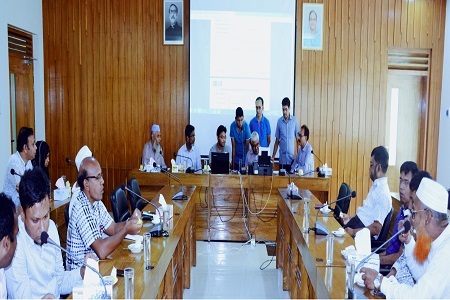 Shafiq Uddin; Dean of the Faculty of EEE, Prof Dr. Mohiuddin Ahmad; Head of the Department of EEE, Prof. Dr. Rafiqul Islam and Superintendent Engineer of GRID CIRCLE of Khulna PGCB, Engr. SK. Zakiruzzaman were present in the function as Special Guests. Prof. Dr. Muhammad Abdul Goffar Khan, Department of EEE, Rajshahi University of Engineering & Technology (RUET); Managing Director of WZPDCL, Engr. Md. Shafiq Uddin; Prof. Dr. Bashudeb Chandra Ghosh from EEE Department, KUET; Superintendent Engineer of GRID CIRCLE of Khulna PGCB, Engr. SK. 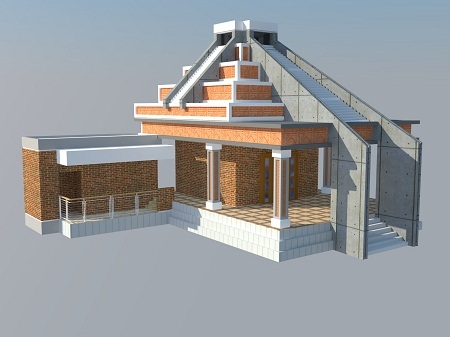 Zakiruzzaman; Assistant Prof. of EEE Department, Md. Alamgir Hossain were present as resource persons in the technical session. Prof. Dr. Md. Shahjahan, Department of Electrical and Electronic Engineering and the Sub-Project Manager (CPSF-2370) presided over the function. 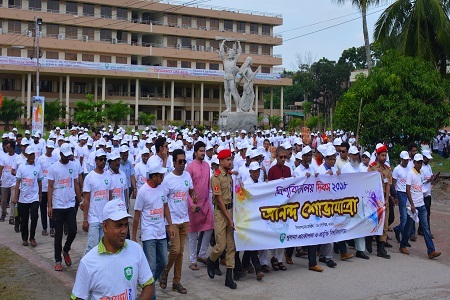 Khulna University of Engineering & Technology (KUET) celebrated its 15th founding anniversary and University Day 2018 on September 22, 2018 through a series of festive colorful programs. 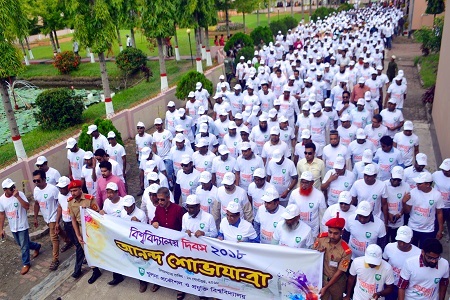 Member of Bangladesh University Grants Commission (UGC), Prof. Dr. M. Shah Nowaz Ali inaugurated the day-long program as the Chief Guest by hoisting the National Flag and releasing ballons and Pigeons; Vice-Chancellor of KUET, Prof. Dr. Quazi Sazzad Hossain presided over the function and hoisted the university flag. Dean of Faculty of Civil Engineering and the Chairman of University Day 2018 Celebration committee, Prof. Dr. Quazi Hamidul Bari delivered the welcome speech. A grand rally was brought out by the students, teachers, officers and staffs. The rally paraded the University campus and Fulbarigate area with colourful banner, festoon and placards. A discussion meeting was held in the Student Welfare Centre of KUET. 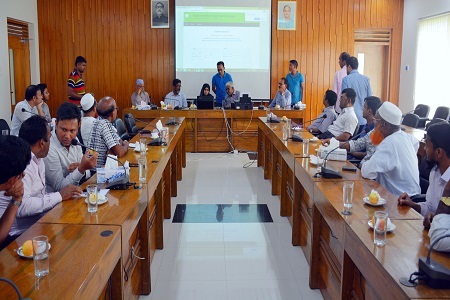 The Chief Guest said that the technical education is very important for the sustainable development of Bangladesh and KUET is playing a pioneer role in this regard. Recalling the contribution of the Father of the Nation Bangabandhu Sheikh Mujibur Rahman and the brave Freedom Fighters of Liberation War in 1971, the Chief Guest also said that Bangladesh is now a unique model of the world. In the discussion meeting, Vice-Chancellor of KUET said that this University is one of the best educational institutions in the country. Teachers and students should concentrate more on research and innovation. 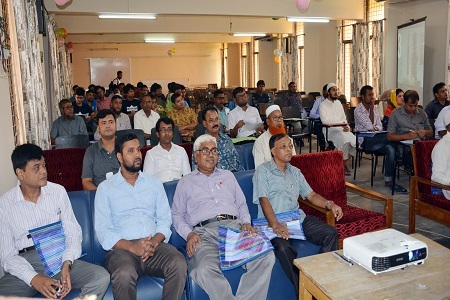 Dean of Faculty of Civil Engineering, Prof. Dr. Quazi Hamidul Bari; Dean of Faculty of Electrical and Electronic Engineering, Prof. Dr. Mohiuddin Ahmad; Dean of Faculty of Mechanical Engineering, Prof. Dr. Mihir Ranjan Halder and Director (Students’ Welfare), Prof. Dr. Sobahan Mia were present as the Special Guests. Prof. Dr. Shibendra Shekher Sikder, Prof. Dr. Md. Mustafa Saroar and on behalf of students, Sadman Nahiyan Sezan also spoke in the program. Innovative Projects & Poster exhibition, Technical papers presentation, Tree Plantation, Charity football match between Teachers and Students, Doa-Mahfil and Cultural events were also held to mark the day. The campus were also decorated with colourful lights, banners and festoons on the occasion. 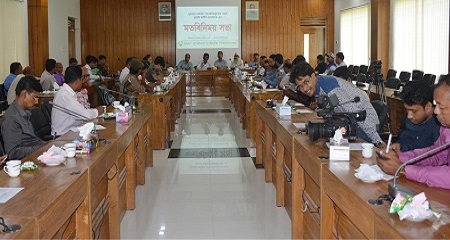 A dialogue between the Honorable Vice-Chancellor of KUET, Prof. Dr. Quazi Sazzad Hossain and the Journalists working for various media at Khulna was held on 18 September, 2018 at the conference room of the University Administrative Building. Vice-Chancellor addressed the Journalists with a written speech in the dialogue. 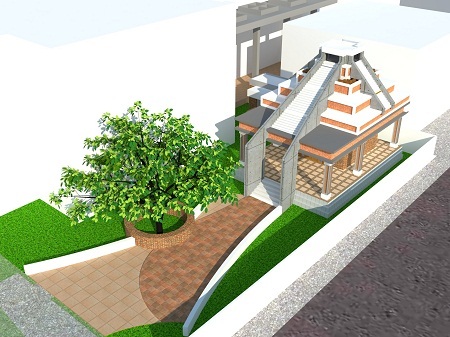 He acknowledges the cooperation of all Journalists, Teachers, Officers, Students, Staffs of KUET and other well wishers of this University to make KUET in the current position in Higher Education. Prof. Dr. Md. 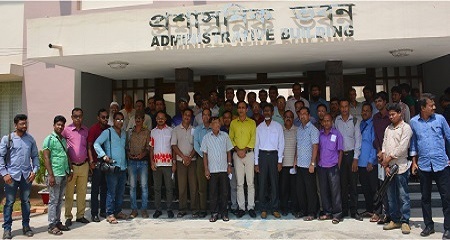 Bazlar Rahman, Dean (CC), Faculty of Civil Engineering; Prof. Dr. Mohiuddin Ahmad, Dean, Faculty of Electrical and Electronic Engineering; Prof. Dr. Mihir Ranjan Halder, Dean, Faculty of Mechanical Engineering; Prof. Dr. Sobahan Mia, Director (Students’ Welfare) and G M Shahidul Alam, Registrar of KUET were present in the dialogue. Reception of KUET Vice-Chancellor, Prof. Dr. Quazi Sazzad Hossain and Farewell of Former Vice-Chancellor of KUET, Prof. Dr. Muhammed Alamgir was held on 16 September, 2018 at the Teachers Club at 7:00 PM organized by the Teachers Association of KUET. President of Teachers’ Association of KUET, Prof. Dr. Sobahan Mia presided over the function. Among others, Dean of Faculty of EEE, Prof. Dr. Mohiuddin Ahmad; Director of IICT, Prof. Dr. Bashudeb Chandra Ghosh; Director of IEPT, Prof. Dr. A N M Mizanur Rahman; Prof. Dr. Shibendra Shekher Sikder from Department of Physics; Head of the Department of CE, Prof. Dr. Md. Shahjahan Ali; Head of the Department of URP, Prof. Dr. Md. Mustafa Sarwar; Prof. Dr. K. M. Azharul Hasan from Department of CSE; Provost of BSMR Hall, Prof. Dr. Pintu Chandra Shill; Prof. Dr. Md. 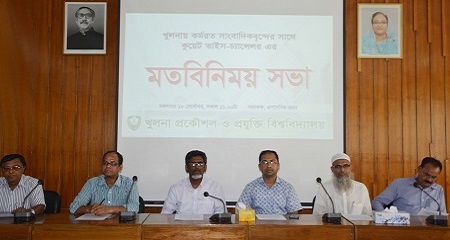 Rafizul Islam from Department of CE; Deputy Director (Students’ Welfare), Dr. Sajal Kumar Adhikary; Head of the Department of BECM and General Secretary of KUET Teachers’ Association Md. 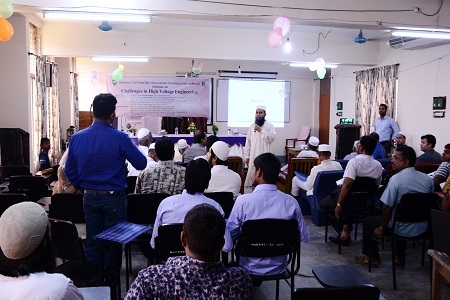 Ikramul Hoque; Provost(in-Charge) of Rokeya Hall, Ms. Monika Gope spoke in the program. Teachers’ Association of KUET handed over the crest to the Present and Former Vice-Chancellors of KUET in the function. Teachers from various Departments and Institutes were present in the function.